“I was very fortunate to grow up in suburban Cleveland, Ohio, in the “heartland” of America. Although I was the child of immigrant parents, growing up in Cleveland always enabled me to understand much more about how the United States actually works. When I came to Cambridge for college, it proved to be the first major inflection point of my life. I was smitten with Cambridge and its many wonderful opportunities, as well as the incredibly exciting education offered at Harvard. After graduating with a degree in Government, I took a year off before entering medical school to go to Botswana (then Bechuanaland), in southern Africa and worked as a science teacher. The experience was another inflection point in my life as I saw and learned the reality of how so many people on this planet actually live. (I also acquired a chronic illness there, which has helped me understand more about sickness and health care.). The challenges are simply staggering. Medical school enabled me to begin to understand the importance of caring for the community, and not just the individual sick patient. That idea continued to blossom during my Residency at Massachusetts General Hospital and Fellowship in Pediatric Nephrology (kidney disease) at Boston Children’s Hospital. While caring for extremely ill children, and enjoying that work, it became clearer and clearer that my career direction would be to provide overall health in the community setting rather than extremely intensive care for children in a hospital ICU setting. I have been fortunate to have had as my heroes some very great leaders and mentors: Dr. Julius Richmond was Professor of Pediatrics and Public Health at Harvard and served as Surgeon General of the United States during the Kennedy/Johnson Administration. He invented Head Start and numerous other programs aimed to provide national support for children at risk. 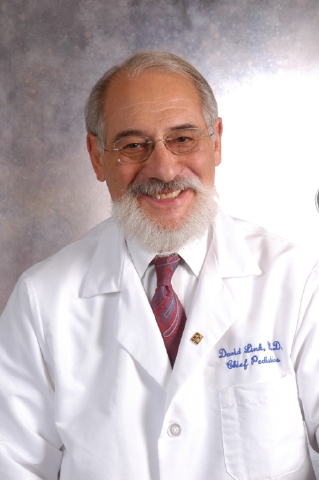 Dr. David Nathan was President of Children’s Hospital and also spent much of his energy assuring excellence in pediatric care in his home City of Cambridge. He was someone who taught me and so many others how to get something done. Dr. Daniel Federman, Dean of Medical Education at Harvard Medical School, encouraged me to overhaul completely the teaching of pediatrics and obstetrics at Harvard Medical School, with sufficient time set aside to convey to students the “big picture” of public health, particularly as it pertains to the wellbeing of women and children. John O’Brien was CEO of Cambridge Health Alliance for much of my career and constantly insisted that we – the entire organization – deliver care that demonstrably raised the health and well-being of our citizens. Rabbi Isadore Twersky, a Professor at Harvard, taught me for many years, conveying the importance of individual responsibility for fixing the problems of the world and acquiring and engaging a moral compass as a guide. The work will always be there, the satisfaction will be enormous, and the task remains challenging. A CRLS student interested in pursuing a healthcare career will find enormous satisfaction in working to improve the health of the people. This statement is also available for download as a pdf. The Dr. David A. Link Scholarship for the Health Professions was established by the family, friends, colleagues, and patients of Dr. David A. Link to honor him on the occasion of his stepping down as Chief of Pediatrics at The Cambridge Health Alliance. Donations may also be made by check — make them out to Friends of Cambridge Rindge and Latin School (FOCRLS) and put “Link Scholarship” in the memo line. Checks should be mailed to: FOCRLS, P.O. Box 39-1541, Cambridge, MA 02139.